Adventurous computer users who feel that official Windows 7 RC available for download from Microsoft does not good enough, and want a build which is closer to RTM (release to manufacturing) which presumably comes with less bugs, can now download the leaked Windows 7 Build 7137, the latest pre-RTM build leaked after Windows 7 Build 7127. Both 32-bit (x64) and 64-bit (x64) Windows 7 Ultimate Build 7137 DVD ISO images is available to download via BitTorrent (BT) network with the following torrent files. 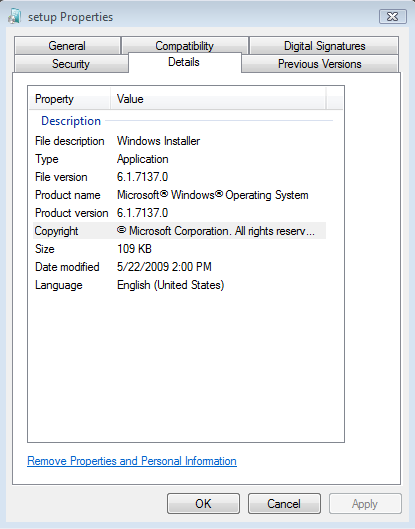 The downloads appear to be authenticated and genuine, although it’s said that Windows 7 Build 7137 with build version of 7137.0.090521-1745, indicating it was compiled on May 21st, 2009, is fresh enough till it’s yet to be distributed to Microsoft TAP Gold Partners. The Windows 7 Build 7137 build string is meaning it was compiled on 21st May. Windows 7 Build 7137 is going to expire on 3/1/2010. Also available for download is MUI language packs for Windows 7 Build 7137. 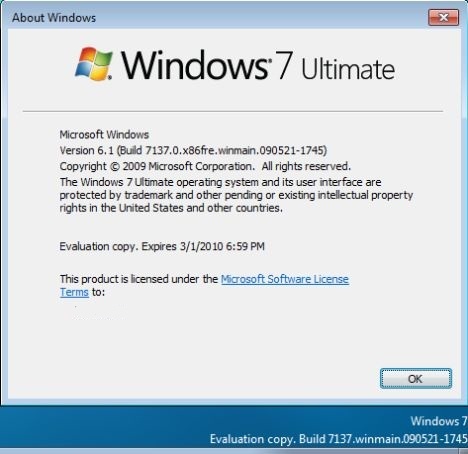 Update: Windows 7 Build 7201 has leaked.